The glamorous Flare LED Illuminated Mirror from Roper Rhodes. 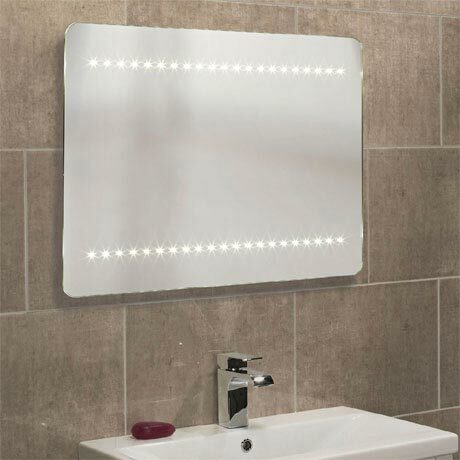 Featuring 42 LED starburst lighting which are operated by an infrared no-touch on/off switch which is located on the bottom right hand side, in addition the mirror also incorporates a heated demister pad that ensures the mirror remains crystal clear even in the most steamiest of bathrooms. The Flare is also versatile which means it can be hung in landscape or portrait.